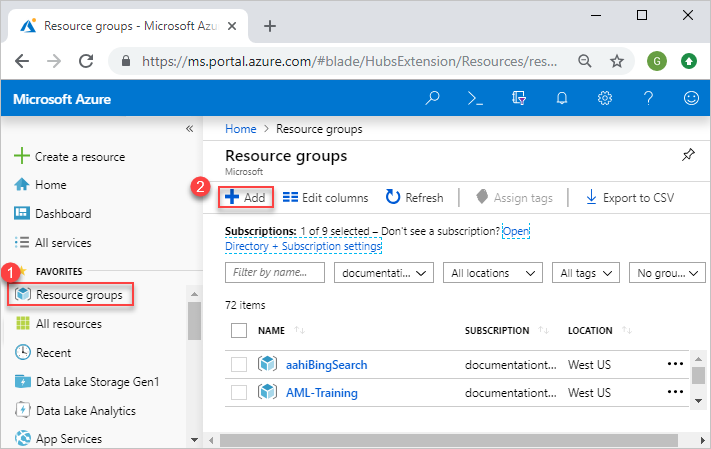 Learn how to use the Azure portal with Azure Resource Manager to manage your Azure resource groups. For managing Azure resources, see Manage Azure resources by using the Azure portal. 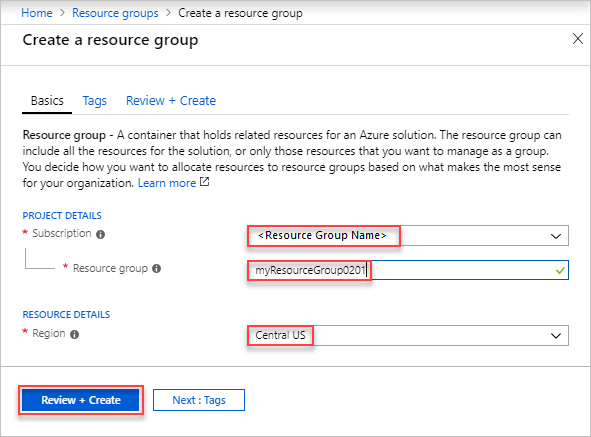 A resource group is a container that holds related resources for an Azure solution. The resource group can include all the resources for the solution, or only those resources that you want to manage as a group. You decide how you want to allocate resources to resource groups based on what makes the most sense for your organization. Generally, add resources that share the same lifecycle to the same resource group so you can easily deploy, update, and delete them as a group. The resource group stores metadata about the resources. Therefore, when you specify a location for the resource group, you are specifying where that metadata is stored. For compliance reasons, you may need to ensure that your data is stored in a particular region. The resource group stores metadata about the resources. When you specify a location for the resource group, you're specifying where that metadata is stored. Subscription: Select your Azure subscription. Resource group: Enter a new resource group name. Region: Select an Azure location, such as Central US. Select Create. It takes a few seconds to create a resource group. Select the resource group you want to open. Open the resource group you want to delete. See Open resource groups. You can move the resources in the group to another resource group. For more information, see Move resources to new resource group or subscription. In the left pane, select Locks. To add a lock to the resource group, select Add. Enter Lock name, Lock type, and Notes. The lock types include Read-only, and Delete. For more information, see Lock resources to prevent unexpected changes. You can apply tags to resource groups and resources to logically organize your assets. For information, see Using tags to organize your Azure resources. Automate future deployments of the solution because the template contains all the complete infrastructure. You can export the actual template used for deployment. The exported template includes all the parameters and variables exactly as they appeared in the original template. This approach is helpful when you deployed resources through the portal, and want to see the template to create those resources. This template is readily usable. You can export a generated template that represents the current state of the resource group. The exported template isn't based on any template that you used for deployment. Instead, it creates a template that is a "snapshot" or "backup" of the resource group. The exported template has many hard-coded values and probably not as many parameters as you would typically define. 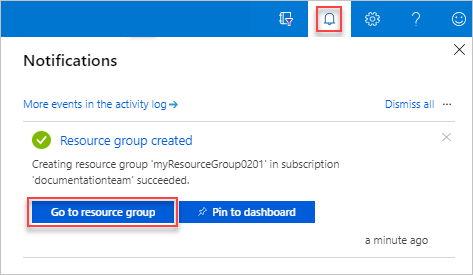 Use this option to redeploy resources to the same resource group. To use this template for another resource group, you may have to significantly modify it. This method exports the templates for certain deployments. 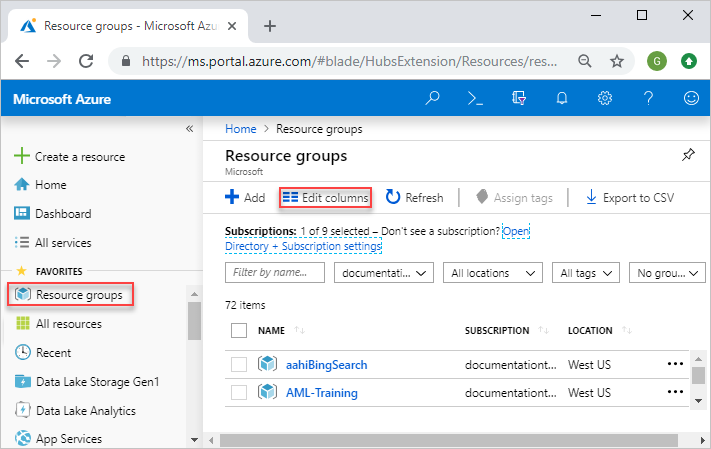 If you have changed the resources from the portal, or added/removed resource in multiple deployments, see Export templates from resource groups. Open the resource group you want to export. See Open resource groups. In the left pane, select Deployments, or select the link under Deployments. On the following screenshot, it shows 4 Succeeded because there were four separated deployments with four different deployment names. You might see 1 Succeeded. Select one of the deployments from the list. Template - The template that defines the infrastructure for your solution. When you created the storage account through the portal, Resource Manager used a template to deploy it and saved that template for future reference. Parameters - A parameter file that you can use to pass in values during deployment. It contains the values that you provided during the first deployment. You can change any of these values when you redeploy the template. CLI - An Azure CLI script file that you can use to deploy the template. PowerShell - An Azure PowerShell script file that you can use to deploy the template. .NET - A .NET class that you can use to deploy the template. Ruby - A Ruby class that you can use to deploy the template. By default, the portal displays the template. Select Download to export a template to your local computer. If you've changed your resources from the portal, or added/remove resources in multiple deployments, retrieving a template from the deployment history doesn't reflect the current state of the resource group. This section shows you how to export a template that reflects the current state of the resource group. It is intended as a snapshot of the resource group, which you can use to redeploy to the same resource group. To use the exported template for other solutions, you must significantly modify it. Some exported templates need some edits before they can be used. To learn how to develop templates, see the Step-by-step tutorials. You can use the portal to define a resource. Before deploying the resource, you can view and export a template. For the instructions, see Quickstart: Create and deploy Azure Resource Manager templates by using the Azure portal. Not all resource types support the export template function. You only see export issues when exporting from a resource group rather than from your deployment history. If your last deployment accurately represents the current state of the resource group, you should export the template from the deployment history rather than from the resource group. Only export from a resource group when you have made changes to the resource group that aren't defined in a single template. To resolve export issues, manually add the missing resources back into your template. The error message includes the resource types that can't be exported. Find that resource type in Template reference. For example, to manually add a virtual network gateway, see Microsoft.Network/virtualNetworkGateways template reference. The template reference gives you the JSON to add the resource to your template. After getting the JSON format for the resource, you need to get the resource values. You can see the values for the resource by using the GET operation in the REST API for the resource type. For example, to get the values for your virtual network gateway, see Virtual Network Gateways - Get.